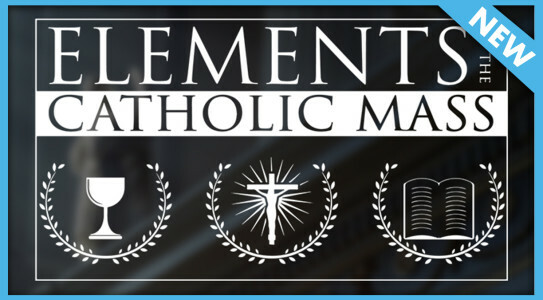 Elements of the Catholic Mass is designed to help the faithful better appreciate the beauty of the Mass. Featuring Fr. Douglas Martis, former director of the Liturgical Institute, the program consists of thirty-one beautifully produced short videos. Because each episode comes with a discussion guide with references, Elements of the Catholic Mass is ideal for personal faith formation or group discussion.